Hans-Ulrich Obrist is meeting Victor Misiano at Andrejsala, a team of two of the most energetic and ragingly feminist bands in the world Chicks on Speed and Peaches are playing in the courtyard of the Latvian Academy of Arts, the author of the roaring Manifesto Julian Rosefeldt is telling his new Latvian friends in an open cafe how the study of architecture has influenced his films. 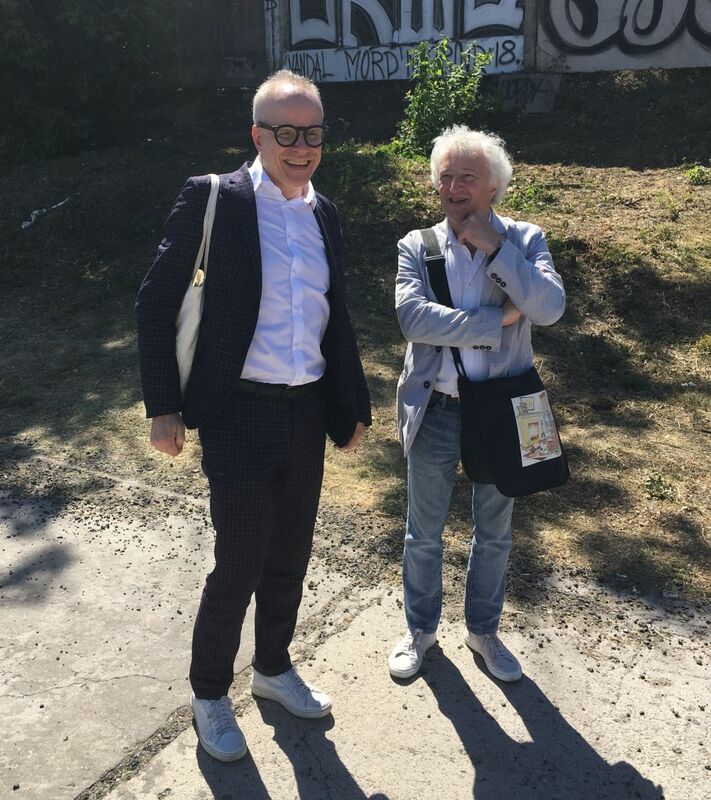 And the director of the Vilnius Contemporary Art Center Kestutis Kuizinas is conversing until 5am at the Brick bar which opened on the territory of the former textile factory “Bolshevichka" (a project of the Latvian artist Andris Eglītis and producer Mārtiņš Mielavs). And all of this is just details on the backdrop of a whole bouquet of exhibitions at different sites of the just-opened Riga Biennial of Contemporary Art (RIBOCA). It is hard to say how long it will take a thoughtful viewer to inspect all the exhibitions of the Biennial, but in this sense the citizens of Riga are in a winning position: by purchasing one ticket, they can slowly inspect venue after venue, arranging any breaks for themselves in between them as RIBOCA will be open until October 28. 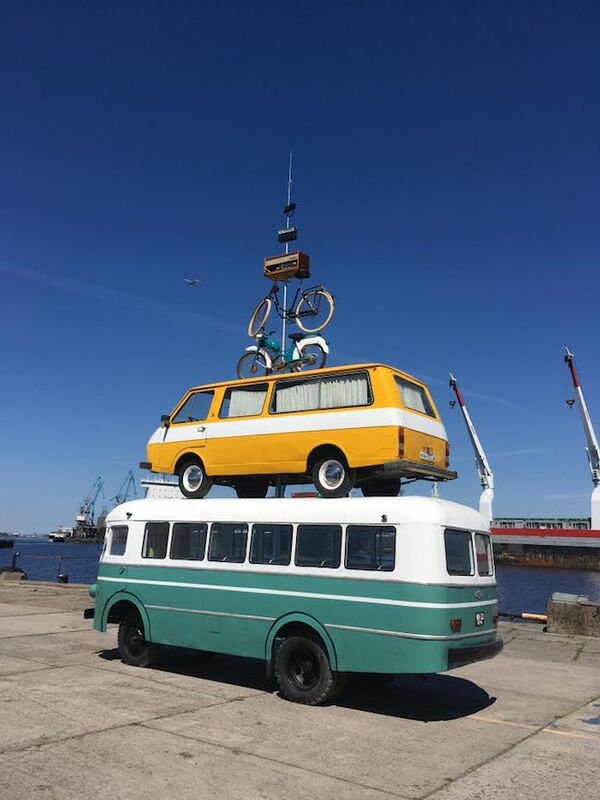 The Riga Biennial is without a doubt a powerful, interesting and diverse artistic expression, whose authors are not only the 100+ artist participants, but also a curatorial team led by Katerina Gregos. We will study it gradually, acquainting you with different exhibitions that are a part of the Biennial. But perhaps even more important is another factor: the Riga Biennial seems to have managed to occupy a place that was arranged here by its glorious predecessors of the 80-90s - the Untamed Fashion Assembly and the Arsenal Film Festival. This is not only a potentially powerful project in its cultural factor, but also a "meeting point" for the most diverse layers and "tribes" of modern society; here are both the students eager for new information and the careful and cautious millionaires, intellectuals critical of everything, and then there are the collectors trying to catch the "nerve of time". This is a colourful and bright public that arrived in Riga specifically during the opening days and that speaks many languages ​​of the world. This is a true event. It began with a dinner for artist participants of the Biennial at the fon Stricka villa which provided its space for the food performance by the artist Anne Duk Hee Jordan called Into The Wild on May 30, then the Biennial continued with a reception at the Benjamin Villa in Jurmala and a concert by Vladislav Nastavshev under the seaside sky on May 31, then the Biennial opened the doors at the Academy of Arts for the big opening party on June 1, where life was in full swing on 4 music stages, and the entrance was free for all. Changes in our society and in our minds is one of the main themes of this Biennial. And RIBOCA itself is also a change that occurs before our eyes, returning its important component back to Riga, perhaps not mentioned often enough recently, which is the international scope. Do you want to see it for yourself? 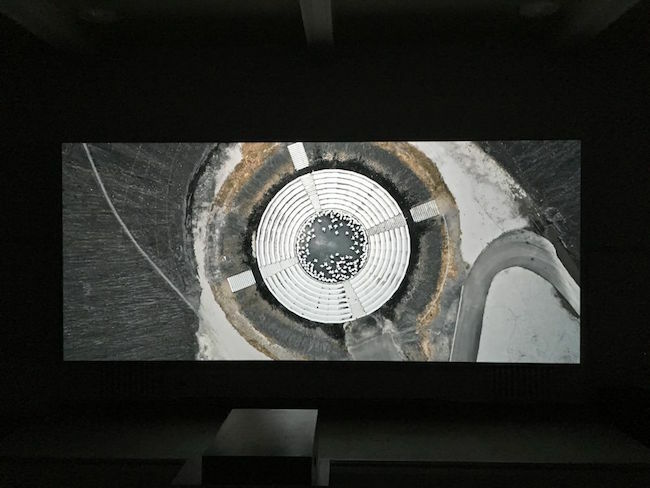 We offer a look at the first days of the Riga Biennale of Contemporary Art in our photo essay.